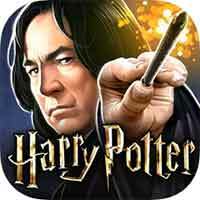 Guide for Year 5 Chapter 16 Harry Potter Hogwarts Mystery A Dance With Diego Walkthrough – As you prepare to confront Rakepick, you’ll train with your fiercest rival, and meet the master of dance and duels, Diego Caplan. Why did you ask me to help you train ? – Are you trying to chat me up? Tell me, are you seeing someone? – How do you know my brother? – How do you know Mundungus Fletcher? – How do you know Professor Snape?